Sending gifts to friends, family and to businesses in Europe is easy with hamper.com. Our exclusive range of European delivered hampers make great gift ideas, whatever the occasion. 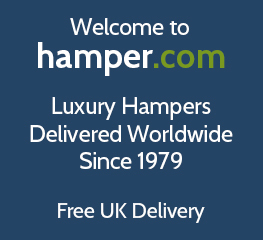 All hampers are despatched on a DHL Express Air Delivery Service to all EU countries in Europe. Delivery to major European countries is usually 1-2 days or on a delivery date of your choice. Order online now and have a delicious fresh food hamper delivered fast to any European address. Find the perfect hamper with our great range of European delivered hampers, with 40 years of experience in delivering hampers to European destinations. We will make sure your hamper arrives safely and to your receipts door. We offer fast and fully tracked airfreight delivery usually within one/two days to countries such as Germany, France, Spain, Netherlands, Italy and many more locations in EU Europe. Send cheese, fruit, chocolate and non alcoholic hampers to friends and family to all countries in the Europe Union. We also offer delivery fast to Channel Islands addresses such as Guernsey and Jersey. Belgium, Channel Islands, France, Germany, Ireland, Luxembourg, Netherlands. Andorra, Austria, Bulgaria, Cyprus, Croatia, Czech Republic, Denmark, Estonia, Finland, Greece, Hungary, Italy, Latvia, Lithuania, Malta, Monaco, Poland, Portugal, Romania, Slovakia, Slovenia, Spain, Sweden. For more information on any of our hampers to Europe, or to learn about our European hamper delivery options, simply get in touch with our friendly team. You can do so by giving us a call on +44(0) 1235 833732.